I-75 South to Barnes Road exit. Turn left on Barnes Road, Turn right on US 25 to left on Humes Ridge Road. Recently updated Cape Cod on over 4 acres! Newer Roof, Siding, Stone Finish, Gutters (lifetime warranty) Composite Deck and Flooring. Finished full basement with Media Room Wet Bar, 4th Bedroom, Full Bathroom, Study and Walkout to rear patio and In-Ground Swimming Pool! 24' x 48' Barn and two car detached garage. 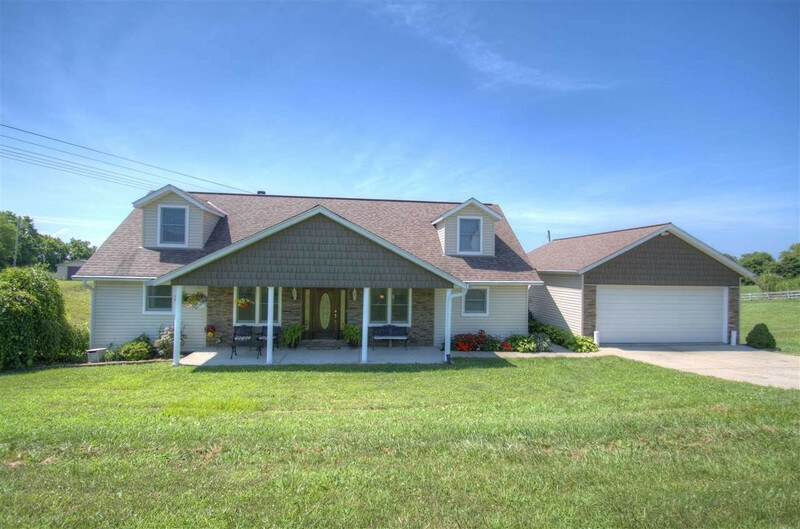 Don't miss out on this Beautiful Country Home!